The Western Hills Cinemas, located at 5870 Harrison Ave, isn’t the type of place you would usually think of when thinking of haunted buildings, but according to those that work there, that description fits it perfectly. This is yet another site without a back story to go along with its ghosts. Before the theater was built, the land was used as a park, and before that, it was farm land. There’s no record I could find of any particular tragedy there, or the other default explanation, which is Indian burial ground, so maybe it’s just a spook that likes movies. 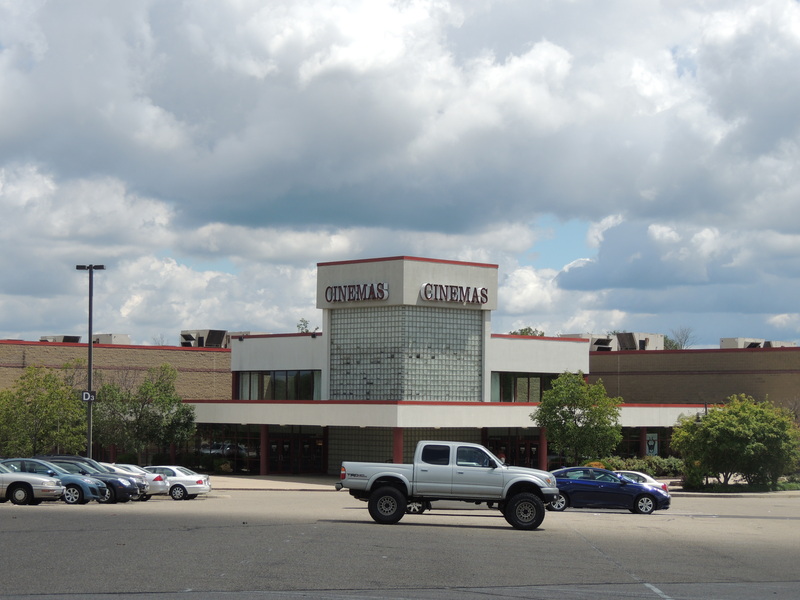 Employees say their spook is fond of theater 10, where ceiling tiles fall for no apparent reason, and where, when watching movies after closing time, they see an unknown figure seated, who will vanish once you spot him. Maybe he knocks out the tiles when he watches a crappy movie? Makes sense to me. They also claim to see a figure in a dark jacket walking though the halls and lobby after closing when the doors are locked, but turn up nothing when they search for him. I did have a snarky comment here about how the theater will probably be gone soon, since it looks so run down and unkept. However, I was informed that they have actually remodeled the inside and it’s all fairly new. I haven’t been inside for awhile, so I wouldn’t know. Anyway, check it out if you get the chance. This is a privately owned business, open to customers during business hours. That’s my favorite theater to watch a movie. They’re almost never busy. I had no idea the place was haunted. Also, I was informed by my mother that the place was bought by Kroger and in the next few years Kroger will be tearing it all out to build a mega Kroger there. What they’ll do with their current location next door, I don’t know. I don’t even know if that is true, but that’s what she heard. I’ll miss the place, I love going there. Especially now that I know it’s haunted! I heard they are taking bids to repair the outside of the theater too. I also thought I heard something about the Dent Kroger planning to move again; because of some issues around the back (hill slipping causing damage to the building), but didn’t know they planned on taking the theater’s spot. I live in Indiana but follow creepy Cincinnati history and unsolved murders. Is this theatre close to where the Bricca family was murdered in 1966, like a couple of miles? I will have to check it out sometime. So is it just the workers reporting this or is there anyone else? Lor- yes this is close to the Bricca murders. I remember my dad telling me about that story when I was younger, is it Greenway drive? I remember where the street is, and I don’t remember which one now, but I remember him pointing out the house to me. The cinemas are probably ~ 8-10 minutes away from that location. I used to be a skeptic but now I think there may be something to all this weird activity. After reading several books on the subject, it is easy to see how there can be unrest in any area when justice has not been served due to no arrests being made. Maybe victims really are reaching across the plains? Absolutely chilling to say the least. Ghosts, contrary to popular belief, are not the spirits of dead humans. They are the disembodied spirits of the Nephilim. They cannot enter the afterlife. So they haunt. They are more commonly known as demons. They imitate human beings. They feed on attention. Give them none and/or have them exorcised.